Seven Tennis New Zealand registered coaches work out of clubs in the Nelson region. A variety of programmes are offered by each coach to cater for all ages and abilities. 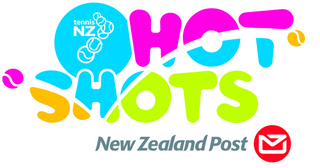 The Tennis Hot Shots programme features highly in our junior coaching programmes, both at schools and at club and level. Coaches will be delivering APTHS schools programme to 22 Primary and Intermediate schools in the Nelson area this coming season. Community Coach - Junior Development Coach - Club Professional Coach - High Performance Coach. Community Coaches courses and APTHS Community Play Deliverers Courses are held in Nelson on an annual basis.